Am I living for God, or myself? We took a peek at some Cross References about ‘bond-servant‘. We’ll LOOK at a few more Cross References to understand a ‘bond-servant‘. O Lord, we pray Your Spirit would instruct us from Your Holy Word today. We pray You, Holy Spirit, would make the Word vivid and real to us. And we ask that You would give us hearts that would desire to please You and obey You as we listen. How does GODcha lead us? Read verse 1 again, asking the 5W’s and H.
Now let’s pick up where we left off yesterday. Let’s LOOK at what else God says about ‘bond-servant’. 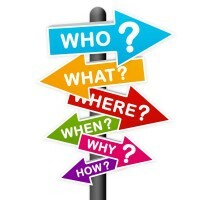 THINK and REASON as you read by asking the 5W’s and H questions. 1. Who else was a bond-servant? 2. How are bond-servants described? Do I belong to Christ? Am I His slave? Do others know I belong to Christ, that I am His slave? 3. How does one become a bond-servant? a. A slave is purchased. Understand: We are owned because we were bought. Understand: We don’t do what we want to do! Have I been bought by the blood of Jesus? Do I know when I died with Christ – being freed from sin, enslaved to God? Am I overwhelmed with gratitude for such freedom? How has being enslaved to God changed my life? 4. Knowing bond-servants choose to stay with their masters, what are Jesus’ terms for such ones? Have you ever thought about what denying self means? What about picking up your cross and following him? Let’s not just read and pass by these 3 commands. What does it mean to deny self, pick up one’s cross and follow Jesus? You dig a little in GODcha’s Dictionary, and then we’ll talk. Were you amazed at what you discovered? 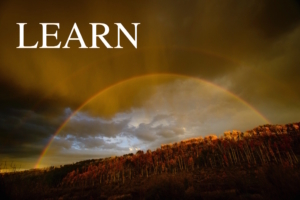 And I hope you will share what you learned with someone else! Means to disown and renounce self, to disregard all personal interests and enjoyments. we give up our wants and desires. We may have to give up things in this life. We don’t live for our ease and comfort. Who am I living for: God, or me? Am I denying myself, giving self up? Am I willing to give up my rights? Or, Am I fighting for my rights? Am I living for God, willing to give up my desires, wants, ease and comfort? Am I living for myself? Means to undergo suffering, trial, punishment; to expose oneself to reproach and death. The cross is the persecution and suffering that we must endure because of our connection to Christ. 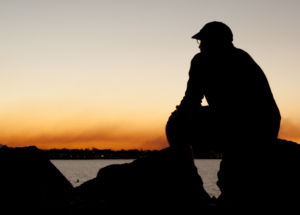 Am I willing to endure persecution and suffering for Christ’s sake? How am I being persecuted? Or, do I ignore Christ, and His cross? Involves abiding fellowship with Jesus, not only for the sake of learning as a scholar from his teacher, but also for the sake of the salvation known or looked for which presented itself in such fellowship. The first thing involved in following Jesus is a cleaving to Him in believing trust and obedience. Those cleaving to Him must also follow His leading and act according to His example. Hence constant stress is laid by the Lord Jesus upon the need of self–denial and fellowship of the cross. Am I following Christ; His leading? Or, am I following finite man and the world the Lord created? What must I do to deny myself, and follow Jesus? How Will I Respond to God…LIVE it out? What else do bond-servants do? Am I a servant to all? Am I willing to serve God in His way, no matter when or where or how? Or, do I serve God on my terms? Do I serve God only when it is convenient, and doesn’t interrupt my plans, my schedule or my comfort? Do I really want to do the will of God? Or, do I do what I want, when I want? Do you see how God speaks to our hearts? Do you see how we do more than just read words? But, we are to take every Word and think and reason? Are you grasping how to ponder and hear what God is saying to you? Isn’t it awesome to hear Him speak to us personally? 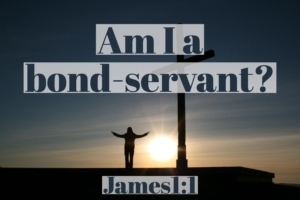 What do we understand now about James introducing himself as a bond-servant of God and the Lord Jesus Christ? Let’s Sum Up Our Discovery! by humbly living for Him. 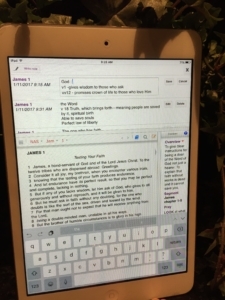 James was willing to do God’s will from the heart. Be Sensitive to the Spirit! 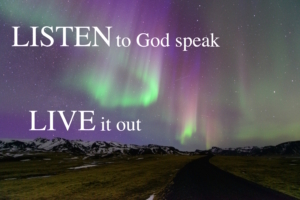 Will you LISTEN to the Holy Spirit and LIVE out your discovery? Please hear me, this is all a waste of your time if you don’t let God’s Word sink down deep and make a difference in your life, (Jam 1:22); (Phil 4:9). HEARING God’s voice takes awhile to master. But this is what time with the King of kings is all about! Just be intentional to LISTEN. Shut out the world, and be quiet before the Lord. Think deeply about all He has shown you in these verses until these Truths become real in your thinking and belief. How did you experience God today? How did He touch your heart and mind today? Oh talk with God, Your loving Father, about being His ‘bond-servant‘! You are not left to yourself, God is right there at work in you through the Spirit to help you serve and obey Him, (Phil 2:13)! These are such vital Truths that you don’t want to forget. Take the time to type them in your Notes. It will help you bury God’s Word down deep into your head and heart. 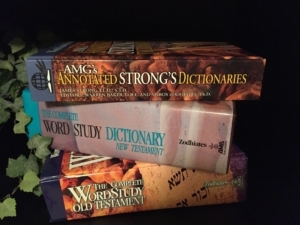 You might put the Definitions and Cross References next to these verses in your hardbound Bible. FATHER GOD I ask that You would encourage us right now. 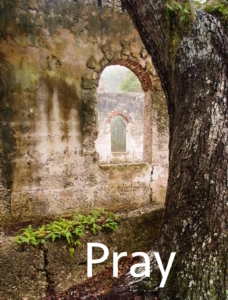 Cleanse us Lord and fill us Holy Spirit. Oh, Father we don’t want to be people that just affirm things about You, but then live our lives for ourselves. Oh, I pray we all on this journey would desire to worship You with our lips, and our lives. Thank you for redeeming us! Oh, we praise You for allowing us the privilege to die with You Lord Jesus, to be freed from sin, and now we are enslaved to You God. Sink these truths down deep into our beings, so we will be willing to follow You Lord on Your terms – denying self, each of us picking up our own cross. Oh help us to have hearts that are willing to follow hard after You, to do Your will, no matter what. All these things we pray in the blessed name of Jesus! Amen! I want to commend you for making time to be with God and hear Him speak to you. 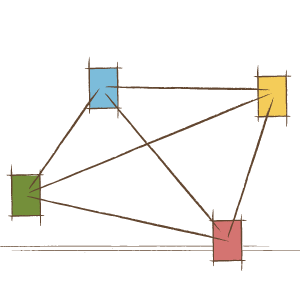 Tomorrow: We will LOOK @ the Twelve Tribes.